For years, we have been told to eat salads, especially greens. And for years, I ignored it and keep preaching about its benefits. My spiral towards salads wasn’t until I understood their importance and their nutritional facts. To be honest I don’t enjoy just a plain green salad so I discovered ways to make them more appetizing. 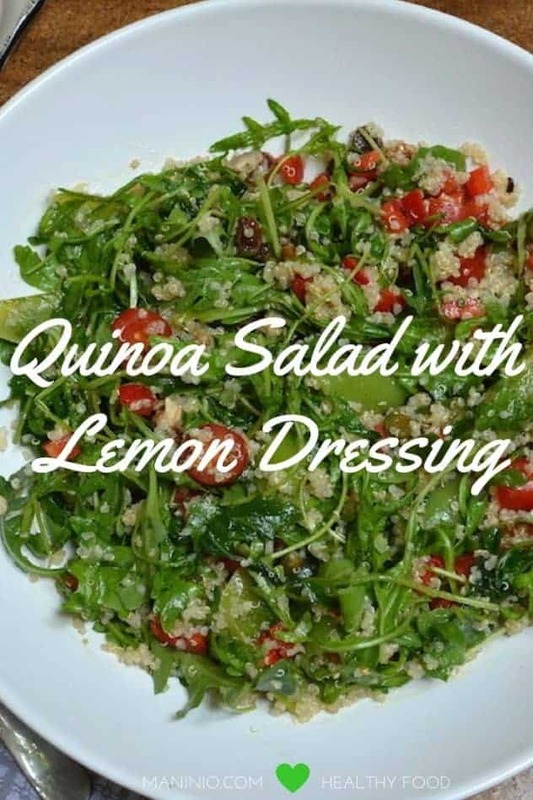 One way is using Quinoa and it’s super easy to make it! 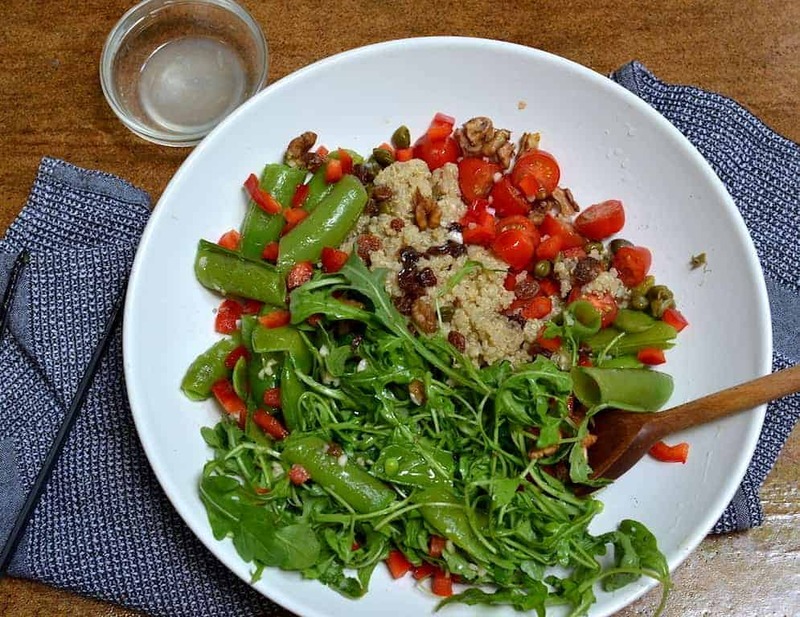 “”Quinoa is grown as a grain crop primarily for its edible seeds. 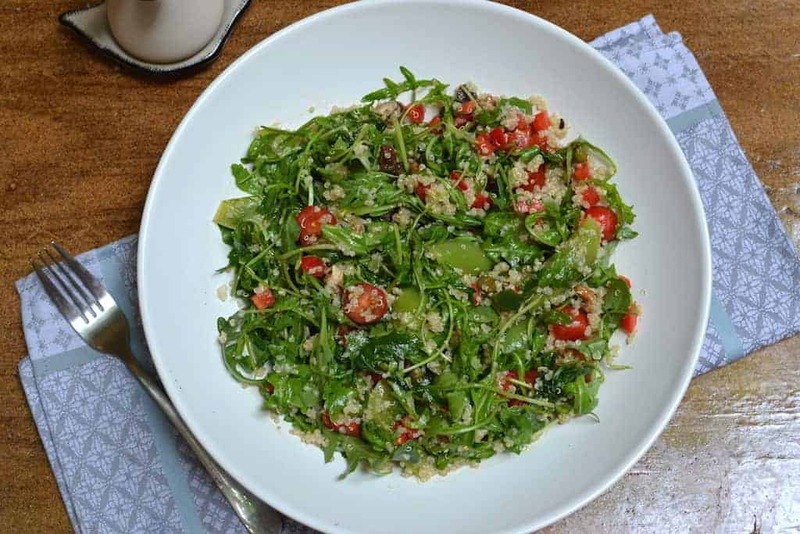 Quinoa is closely related to the edible plant’s beetroot, spinach, and amaranth. After harvest, the seeds are processed to remove the outer coating containing the bitter-tasting saponins. Generally, the seeds are cooked the same way as rice and can be used in a wide range of dishes. When cooked, the nutrient composition is comparable to common cereals like wheat and rice, supplying a moderate amount of dietary fiber and minerals. It’s high in Protein and a great wheat-free alternative. Quinoa should be washed very well to remove it’s bitterness. Wash the quinoa very well and boil it until soft. Where is ready, drain and let it cool. Wash the greens and the beans and cut them into medium size pieces. Cut the cherry tomatoes in half. Mix well the olive oil, lemon, pepper, salt, and garlic and let it rest for 15 minutes so all the flavors combine together. 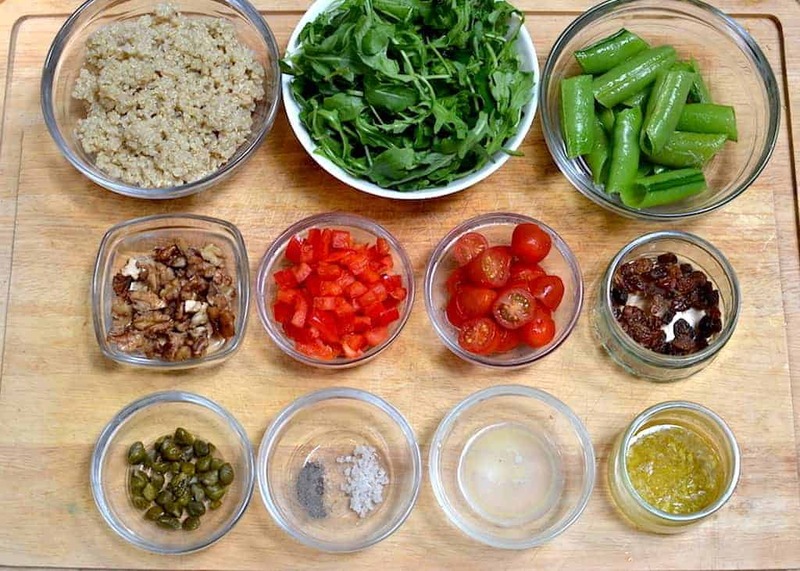 Place the greens, tomatoes and the beans on a serving plate and mix well. Add the raisins, capers and the walnuts and mix again. Before serving, drizzle with the lemon dressing and mix. Why don’t you try it also an Avocado Salad or a Beetroot Salad? Easy to make and great to taste! Find more fresh combinations for the perfect vegetarian menu at my previous post: Vegan & Vegetarian Menu Ideas. We love good food and we know how to make it.